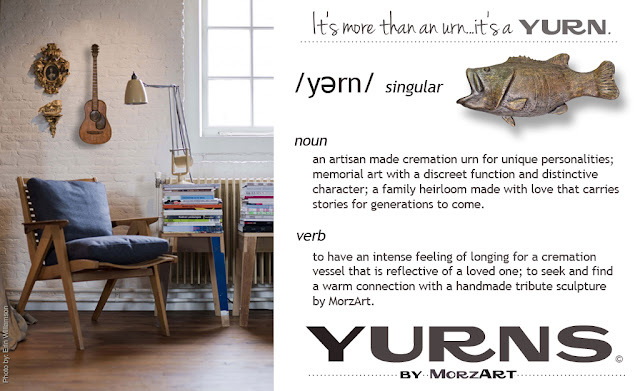 We are excited to launch our newest art endeavor YURNS by MorzArt. "Memorial Art for Unique Personalities" -- We are now in production of these 6 models, with new ideas on the way! With the release of our YURNS cremation sculptures, we would like "service-to-others" to be foremost on our minds, intentions and actions. The holidays often have us reflecting on the memories of loved ones, and the fond times we had with family and friends who have gone before us. 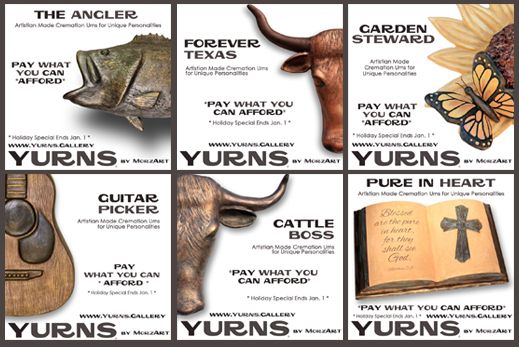 We know this time of year can also be financially constraining for many, and that is why we have decided to offer all of our YURNS models on a "Pay What You Can Afford" basis for the holidays. Order a YURN before or on January 1, 2015 with a donation amount that is within your means, and we will make for you the model of your choice. We feel it is a great honor to handcraft each YURN we make, and hope that our service to you is the greatest final gift for your loved one.